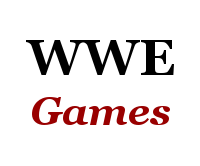 The pre-order page sketches out the differences in the three versions being released of WWE 2K19. From everything I have read the difference between Wooooo! and Deluxe is the physical aspects that come in the box itself. As of yesterday I was still going back and forth on whether I'd buy the Wooooo! Edition. I am leaning "No," but I do think it's a fantastic set. The fact that "Nature Boy" Ric Flair is my favorite wrestler ever obviously helps. Lastly, if you haven't noticed the Wooooo! in Wooooo! Edition has 5 'O's. I counted them for you, you're welcome.